Copyright law in Malaysia is governed by the Copyright Act 1987. Under the Act and pursuant to the Berne Convention, copyright exists automatically upon the creation of a work without the need for any formal registration. In the absence of this, the Act now provides for a voluntary notification exercise for author or owner of a work and such notification is considered prima facie evidence in cases of copyright infringement. Generally, the author of a work is the person who creates the work. For example, the writer of a book is the author, an artist who painted a painting is the author and a composer of a music is the author. Usually, the author of a work is also the copyright owner of the same work unless the work was created in the course of employment or was the result of a commissioned work. An author may decide to exploit the work by assigning the copyright in the work to another person, usually for some financial consideration. When that happens, the author relinquishes his economic rights over the work under copyright law. The new copyright owner will then enjoy the bundle of exclusive rights which are granted under the Act. As many are aware, a copyright owner has the exclusive right to control the following acts with respect to literary, musical or artistic works, films, sound recordings and derivative works: (a) the reproduction in any material form; (b) the distribution of copies to the public by sale or other transfer of ownership; (c) the communication to the public; (d) the performance, showing or playing to the public; and (e) the commercial rental to the public – Section 13 of the Copyright Act. A person who is not the copyright owner and who does any of the above acts, without permission from the copyright owner, commits a copyright infringement. The right to control the reproduction of a work is essentially the exclusive right of a copyright owner to control the making of copies of the copyrighted work in any form. The reproduction right extends to making a copy of the copyright work in a medium different from the original. Thus, a sound recording in the form of a CD is reproduced if it is converted into MP3 format. It follows that any conversion of computer file format from their original state or format to another file format (e.g. MKV, PDF, AVI) is considered as a reproduction as well. Based on the above, a valid question would be whether downloading an image from Google Images for one’s own and private use would infringe any copyright? The simple answer is yes regardless whether it is for private use or otherwise as downloading an image would amount to reproduction of the original work. Under such circumstances, you may only download the image if the terms and conditions (e.g. “You may use this image for personal, non-commercial purposes but please always acknowledge my copyright”) on their website allow you to do so. Nevertheless, there exists websites that provide ‘free’ content (images) to the public where you can copy, modify, distribute, and use the images, even for commercial purposes, all without asking for permission or giving credits to the artist. Distribution right is yet another exclusive right enjoyed by a copyright owner. However, we should note that the right to control distribution of copies does not apply to any subsequent distribution of those copies after the first distribution. To put into perspective, once a copyright owner places copies of a DVD in the market, he loses effective control over the subsequent dealings with the DVDs as physical items although the literary copyright embodied in the DVD continues to vest in him. This is known as the doctrine of exhaustion of rights. 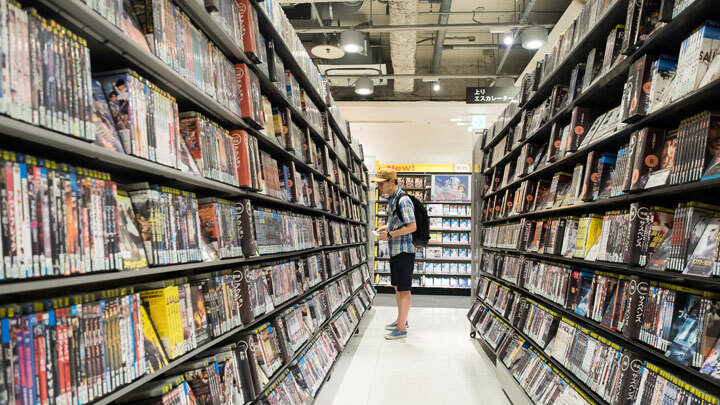 Consequently, the copyright owner cannot prevent the purchaser of the DVD from further dealing with the same such as reselling it to other people. The purchaser of the DVD can of course watch the DVD whenever he wants. One other interesting question would then be: can he then watch the DVD wherever he wants? Strictly speaking, he can only watch the DVD in a private setting but not in any public places where it can be heard or seen by others as showing or playing to the public is one of the exclusive rights enjoyed by the copyright owner. In order to play the video content in the DVD legally in public, he may obtain a license from the relevant copyright licensing body such as Motion Picture Licensing Company and Recording Performers Malaysia Berhad (RPM). What if the owner of the DVD wants to rent his DVD to someone else in return for payment? Practically speaking, he can do so although the commercial rental to the public is one of the exclusive rights of the copyright owner. The newly introduced proviso (B) of section 13(1) provides that the exclusive right to control commercial rental in relation to films shall only apply when such commercial rental has led to widespread copying of such work materially impairing the exclusive right of reproduction. In contrast, it has to be noted that the commercial rental of musical works or any works other than films is not permitted. While the exclusive rights in relation to literary, musical or artistic works, films, sound recordings and derivative works are provided under Section 13, the exclusive rights in relation to broadcast are dealt with under section 15 specifically. Essentially, broadcast means a transmission by wire or wireless means, of visual images, sounds or other information which is capable of being lawfully received by members of the public. The exclusive right in a broadcast includes the performance, showing or playing to the public in a place where an admission fee is charged either in its original form or in any way recognizably derived from the original. Television broadcast is divided into terrestrial television broadcasting and satellite television broadcasting. In Malaysia, most of the terrestrial television such as TV1, TV2 and TV3 provide free-to-air broadcasting services whereas satellite television like Astro will usually provide subscription-based services. Under what circumstances a broadcast copyright will be infringed? For instance, Malaysians prefer going to Mamak restaurants which, more often than not, are equipped with projectors to show TV programmes such as sports, movie and so on. Would the restaurant owner infringe any copyright by showing the TV programmes in public either through terrestrial broadcasting or satellite broadcasting? If the broadcast is a terrestrial television broadcasting e.g. TV1 and TV2, strictly speaking, so long as the restaurant did not charge any admission fee, the restaurant would not infringe the broadcast copyright by showing the TV programmes to the public. Nevertheless, if a particular restaurant (which shows television broadcast to its customer) is charging a relatively higher price for its meals, it is arguable that the restaurant is actually charging admission fee by incorporating the fee in the price of the meals and therefore, a license for showing to the public is required. That being said, it is pertinent at this juncture to note that the copyright in a broadcast is additional to, and separate from the copyright that subsists in any underlying works that form the contents of the transmission. While showing the TV programmes in public might not infringe any broadcast copyright, it would infringe the copyright of any underlying works such as musical works, films or sound recordings. Thus, a license from the respective copyright licensing body or copyright owner is still required. If the broadcast is a subscription-based service i.e. Astro, the above position might not apply as subscribers are subject to the express terms and conditions imposed by Astro. Hence, the restaurant owner is allowed to view such Astro programmes at the designated business address if he subscribed to a business package. To summarise, we have provided various examples of what may or may not constitute copyright infringement when certain actions are carried out by non-owners of copyrightable works. It is advisable that one be prudent and be mindful of someone else’s copyright and ensure that one does not fall foul of the copyright infringement provisions under the Act.